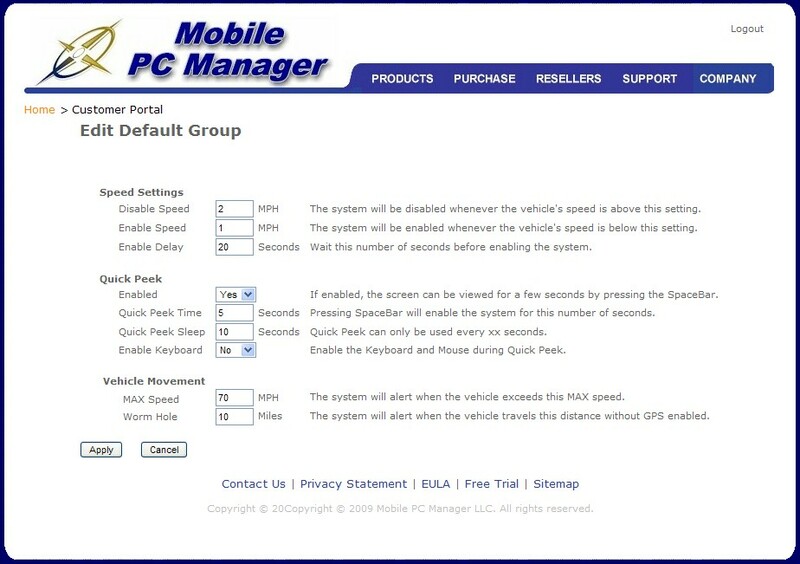 ScreenSafe is a Windows software application that once installed on the vehicles laptop can disable the keyboard and/or display at a selected speed eliminating driver distraction. The ScreenSafe application is completely customizable allowing the Fleet Manager complete control (in real time) over when and what to disable on the laptop. ScreenSafe – Keyboard and/or Screen Disabling Software less than $7 per mo. 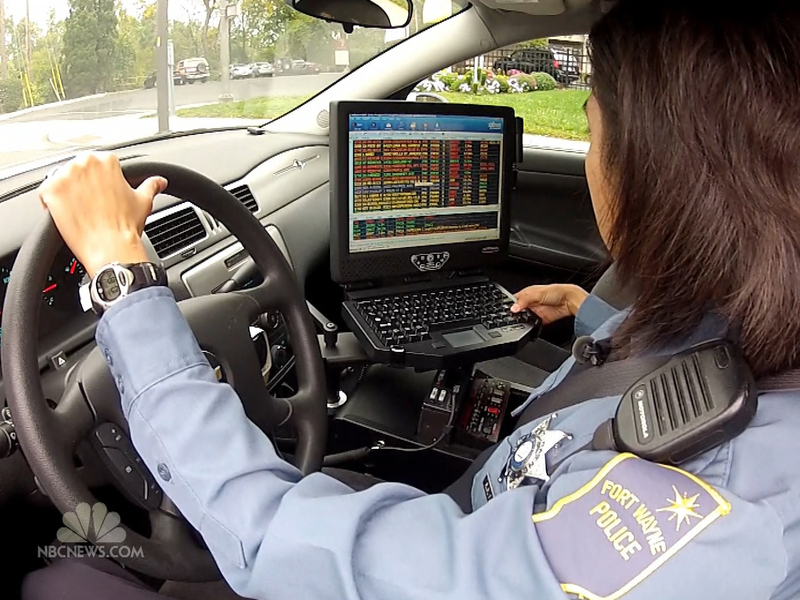 With more companies and law enforcement agencies are equipping their mobile workforce with laptop computers (MDTs), it is almost impossible to protect the drivers and the company by ensuring the computer is not a “Distraction” to the driver while the vehicle is moving. ScreenSafe is only $79 per year! Now with ScreenSafe, the Fleet Manager can quickly and easily ensure 100% compliance with company or department policies. Start your trial today and test ScreenSafe on your vehicle. At a cost of only $7 per month per officer or employee, you can provide a safer working environment and ensure compliance with you existing safety policies. ScreenSafe is now able to support either existing internal or external an GPS. ScreenSafe’s Port Splitter utility (FREE with each license) enables ScreenSafe to utilize your laptops integrated GPS signal (or our external USB GPS) to determine the vehicles location and adjust the performance of the computer to comply with company policy and ensure compliance with division safety policy or State “Distracted Driving Laws”. ScreenSafe is a Windows software application that once installed on the vehicles laptop (or MDT) can disable the keyboard and/or display eliminating driver distraction. The ScreenSafe application is completely customizable allowing the Fleet Manager complete control over when to disable the monitor. ScreenSafe reports are uploaded when the laptop connects to a communications network or the internet. As a Fleet Manager you must not only reduce libality but also ensure that your vehicles comply with state and local “Distracted Driving” laws. Distracted drivers have already cost companies hundreds of thousands in lawsuit judgments. ScreenSafe’s annual subscription rate is only $79! At this modest rate of about $7 per month you can provide a safer working environment for your employees and officers. With this modest investment, ScreenSafe allows the Fleet Manager to ensure that all company and department vehicles operate in compliance with the existing safety as related to the use of the computer/MDT while the vehicle is in motion.